Cognitive behavioral therapy (CBT) is a specific form of therapy that teaches you to recognize your thoughts and control your emotional and behavioral responses. 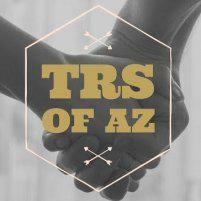 At Trauma Recovery Services of Arizona in Goodyear, Arizona, board-certified counselor Jordanna Saunders LPC often uses CBT to treat mental health conditions including anxiety, depression, and trauma. If you’re looking for compassionate, customized counseling services to help you lead a more fulfilling life, call Trauma Recovery Services of Arizona or make an appointment online today. Cognitive behavioral therapy (CBT) is a psychological treatment that helps you to recognize negative or harmful thoughts and adjust your emotional and behavioral responses. CBT is based on the idea that your thoughts, not external factors, cause your feelings and actions, which means that you can control the way you feel or act in a distressing situation. CBT is a time-limited form of therapy where you focus on instruction, education, and practice to learn strategies to change your thought patterns and behavioral responses. You and Jordanna agree on the number of sessions necessary. That number is not necessarily set in stone and can be adjusted as you work through the program. What are the principles of CBT? For example, if you get upset about a situation instead of dealing with just one problem, you also have to deal with the problem of being upset. CBT is based on the idea that you can learn to stay calm and more effectively deal with challenging situations or issues. CBT teaches you strategies to recognize and change negative thoughts and behaviors. For example, you learn to identify distorted thinking and re-evaluate your perceptions of situations that you find distressing. You learn problem-solving skills and develop a more realistic understanding of the motivation and behaviors of other people. You also learn strategies to change your behaviors. For example, you’ll learn and practice techniques to self-soothe when you start to feel upset or anxious. You’ll also practice role-playing to prepare for challenging or stressful interactions. These techniques and others will help you to face your fears and discover that your thoughts were much worse than reality. In addition to the work you do during your appointments, Jordanna gives you homework assignments including reading and activities, so you can practice your strategies and techniques, and they become second nature. If you’re interested in CBT and how it can help you take control of your life, call Trauma Recovery Services of Arizona or schedule a consultation online today.